The Wondershare DVD Creator is a complete package for everyone looking to create backups or write created content on a DVD or a Blu-ray disc, but what features does the software offer exactly and are they any good? Let's find out in this review of the Wondershare DVD burner. 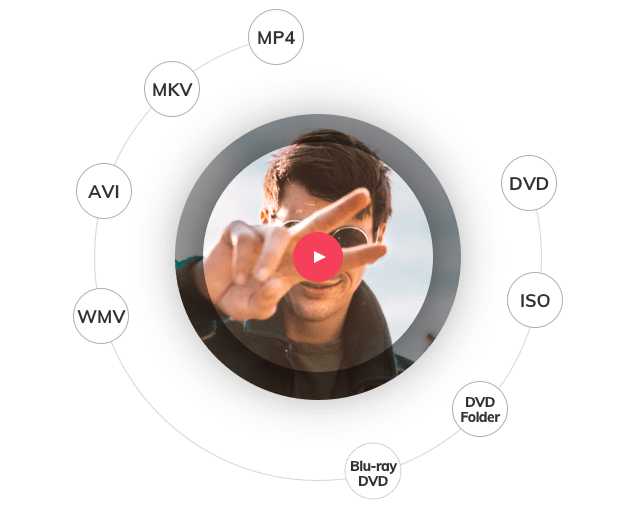 Whether you are trying to create a movie of your own or backing up the data on your computer or phone, Wondershare DVD Creator can deal with just about any format (MP4, MKV AVI, WMV, etc.) that you can possibly throw at it because it supports over 150 formats, including Blu-ray. It's really easy to use the DVD burner feature because it enables the user to burn DVDs and Blu-rays with just one click and in any format of your choice, irrespective of the content's original file format. In addition to being a complete solution for all your DVD creating and burning needs, the Wondershare DVD Creator also has an in-built video editor which lets you crop, trim, enhance and even add subtitles and watermarks on your videos. You can not only edit the video but the menu as well. Check out some of the menu customizations options the DVD creator offers to its users. The included slideshow maker is actually pretty good since it offers plenty of customization options such as adjustable transition settings, customizable music, changeable photo duration and even the ability to add text. Of course, it also lets you sort your photos in any order you want, alongside the basics like the option to add, delete or rotate the pictures accordingly. If you liked all the features we just discussed, then you will love the fact that anyone can try Wondershare DVD Creator for free! It is hard to find a flaw in the DVD burner really, because not only does it do everything a DVD creator is supposed to, but it also can be tried out for free. Therefore, it would be safe to say that if you have the need for a DVD creator, this one from Wondershare is definitely worth a download. After the conversion to the required format, the videos ran flawlessly run on all Apple devices (iPad, iPod, iPhone, Apple TV), Android devices, Xbox One, Sony PSP and even some of the VR headsets. There's support for a much wider range of devices as well, but you will have to visit their official site for the detailed info on that. What was most impressive about the Wondershare Video Converter Ultimate is the speed it offers because it's blazing fast, especially when compared to other converters in the market. True to their promise of providing a 30x faster conversion rate, the speed really is impressive with huge videos being converted in a matter of minutes. Wondershare achieves this by combining its propriety APEXTRANS technology with the computer's own GPU and CPU prowess. It would help if you have a powerful PC with a decent graphics card and processor, but the conversion rate will be a lot faster than others on any computer. To top it all off, Wondershare allows the conversion of multiple videos at once and in different format. Batch conversions in different formats, coupled with the speed we just discussed, puts Wondershare miles ahead of the competition. 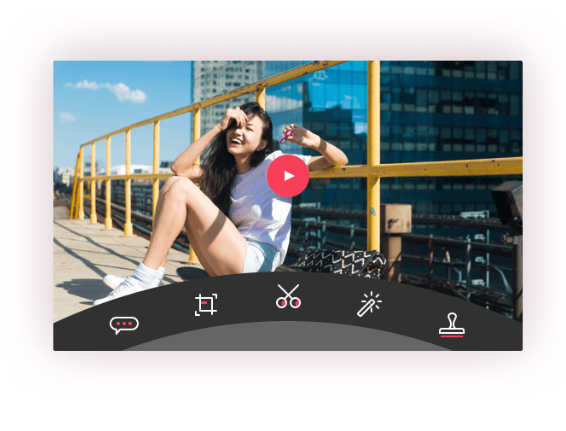 There's just so much more included in this video toolbox like a screen recorder, a GIF maker, a metadata editor for the videos and even TV casting options. 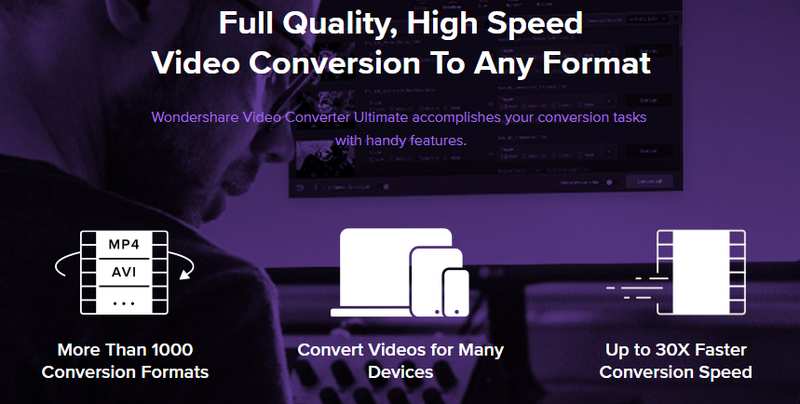 It's hard not to recommend this product to anyone looking for a comprehensive, one-stop solution to all his/her video conversion/making/editing needs, especially since it's possible to Try Wondershare Video Converter Ultimate for free!